You can create, affect and influence your customers' experiences - and as a small business owner who cares about your customers and your business, you better be. 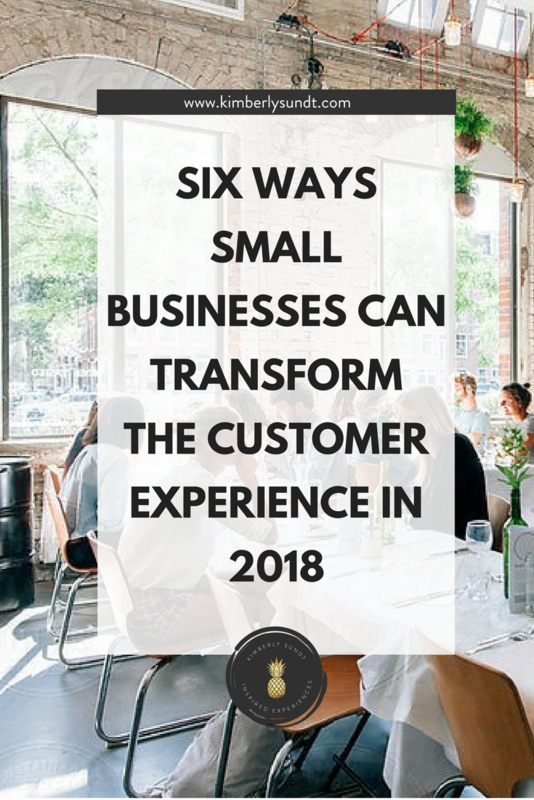 In 2018 and beyond, the customer experience is predicted to be the greatest differentiator of companies, especially small businesses. So, will you be watching from the wings during this evolution, observing the big players and then scaling those tactics down to your smaller, boutique businesses? I hope not. Below are six things that small businesses should do to affect their customers' experiences. This time of year, a multitude of predictive reports are published. Below are links to three that provide useful information, but are often complex and filled with stats that are best applied to bigger companies. Read away, but if you are curious to simply know how these findings relate to small business, I have taken these and given small business recommendations below. FORRESTER - If you aren't familiar with Forrester, it is a market research company that is often considered the king of understanding customer behavior. At the end of last year, they published their 2018 Customer Experience Predictions and it's worth a read if you want to dig deeper. Here is a quote from the report. WALKER -- a Walker Study states that by the year 2020, customer experience will overtake price and product as the key brand differentiator. TEMPKIN -- and, with regards to customer experience, The Tempkin Report is calling 2018, "The Year of Humanity." After studying these reports and combining the predictions with my own experience, I have outlined below what I hope small businesses will consider when deliberately designing their customer experience and marketing strategies in 2018. I think this is the most critical and change-worthy thing you can do. Ask yourself how you want your customers to feel and then reverse-engineer it. Ask yourself, "how do I want my customers to feel?" There is a difference between what your customers need and what they want. Remember, the emotions are tied to what they want. Recently, my American Express card was compromised (when did "compromised" become the term for this?) and AMEX sent a new card through UPS. The delivery was late - DAYS late. I was on the phone with UPS for about 3.5 hours. I needed my card, but what I wanted was for someone to fix the situation, apologize, stop giving excuses and help me have a peaceful holiday and travel day, and get off the phone. In 2018, I think the hiring and onboarding process will be as critical as the training. You can teach someone how to serve the meal, how to give a tour, the elements of design, merchandising, how to deliver, how to sell, how to dance! However, you cannot teach curiosity, empathy, spirit, self-motivation, to be kind, to care. You can inspire and motivate all of these, but you will already be ahead if you ask the right questions before you hire. Oh heck, what does this even mean? Your brand has a personality. You most likely have budget for your logo design, website, collateral, etc., and these represent your brand. But, does your brand come to life? 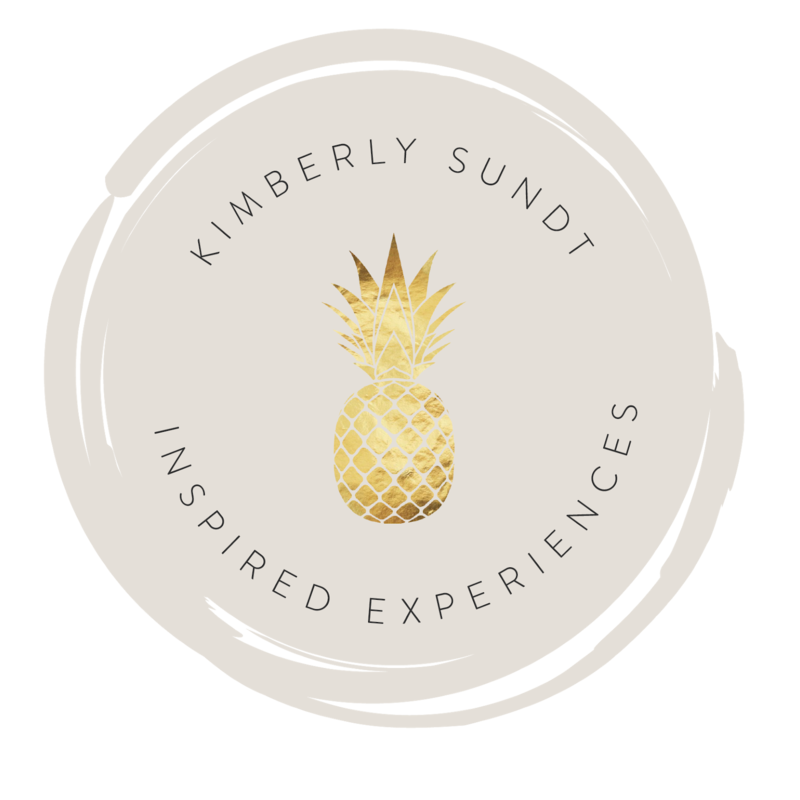 When you create the experience for each customer touchpoint, your brand will live and breathe throughout all areas of your business. So you've created the experiences. Now make sure you make it easy for your customers to talk about you. Know what you want them to say and create experiences that help them say it. Make it easy for them to post on social media. Help them share their experiences with their friends and their followers - your future customers. Always watch and listen to your customers and always adjust. Along with your employees, your customers are your greatest source of research and information. The importance of the customer experience is nothing new. However, in this age of the connected economy, it is at the forefront of discussions, by both business owners and their customers. In 1999 (TWENTY YEARS AGO!!!) Joseph Pine and James Gilmore wrote The Experience Economy. It is still my go-to resource on how the customer thinks and the roles we play during the customer experience. It's so worth the read and has been updated since 1999! In 2018, why don't you start changing the customer experience standard? What if your customers not only engaged, but used you as their example when defining "the best customer experience." Let me know about your questions and your successes!